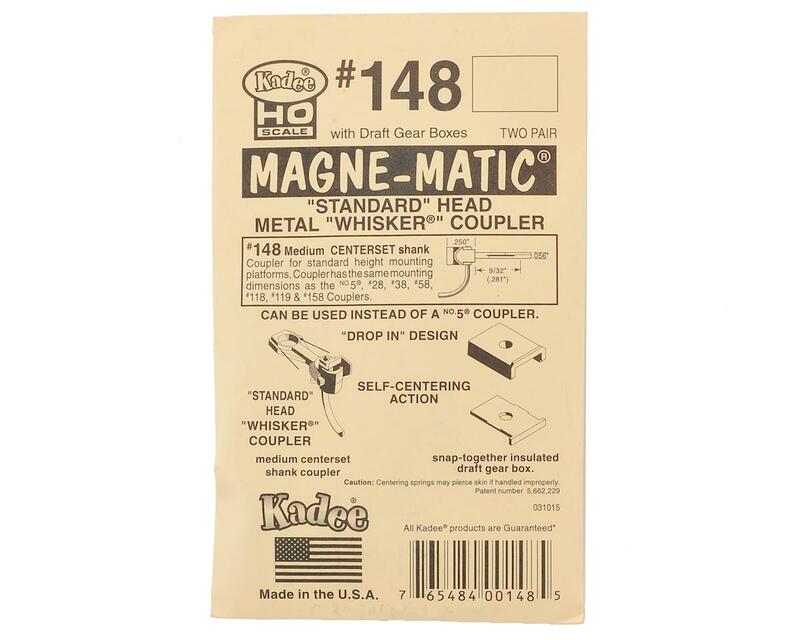 The Kadee HO-Scale #148 Whisker Coupler will work anywhere a NO.5® Coupler will work. The #148 coupler is a direct replacement for most Bachmann On30 couplers & a direct replacement for any plastic Medium Centerset "clone" couplers. The #148 Kadee® Magne-Matic® WHISKER® Coupler features a Metal Coupler, Metal WHISKER® Centering Spring, insulated Draft Gear Box and Lid. The #148 Coupler may be mounted with supplied 242 draft gear box or with Manufacturers cast-on coupler pockets. 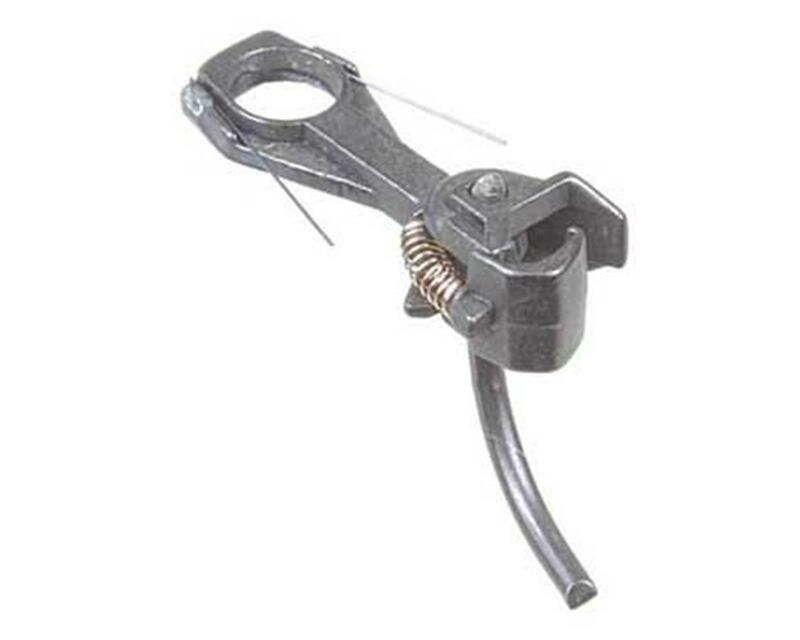 It is not recommended to use a metal coupler directly on a metal surface or in a metal draft gear box to avoid the possible electrical crossover or shorting that may cause damage. Use the provided insulated draft gear box.